Let me begin by saying I had no idea that The Zookeeper's Wife was a non-fiction novel. Had I known that from the on-set, I likely would not have read the book. However, I'm very happy I did not do my research prior to reading because I learned a lot of really interesting things about my favorite time in history - World War 2. The Zookeeper's Wife describes the real life story of the Zabinksi's - the owners of the Warsaw Zoo during World War 2. We learn of their heroism and bravery in aiding the Jews during that awful time. Jan and Antonina Zabinski use the zoo as a hiding spot for countless refugees during the war. The cages of their zoo become homes for people instead of animals. This book made me long to visit Poland and learn more about the country's history. I'm usually not a fan of non-fiction because I prefer to read books that have dialogue between characters. 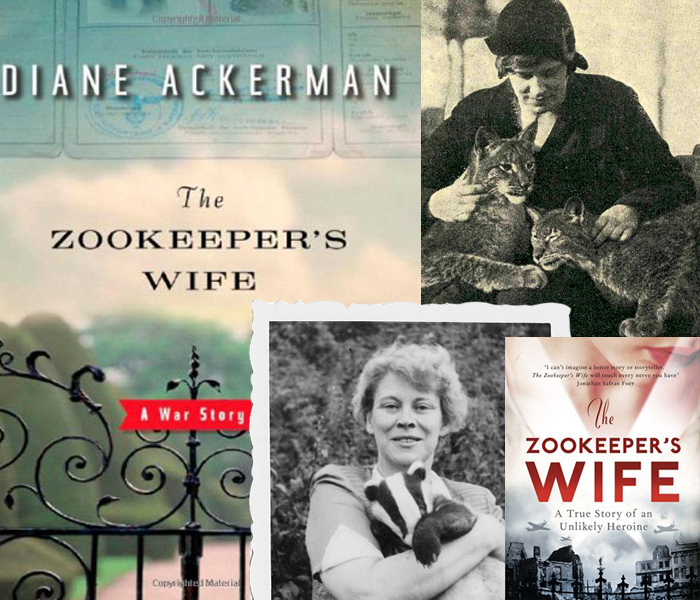 The Zookeeper's Wife, however, was incredibly interesting. I was surprised (though I shouldn't have been) that the Nazi's obsession with eugenics extended to animals too. They were constantly trying to get the purest breed. I'm glad I was able to read this book before Hollywood turns it into a movie - the film is scheduled to hit the big screen in 2016. I hope that I am fortunate enough to travel to Poland sometime soon - I would love to visit the Warsaw Zoo.